Pittsburgh captain Sidney Crosby scored his 400th career goal early in the second period against St. Louis. Crosby muscled a shot past goalie Jake Allen from the left side of the net at 3:31. The goal came 21 seconds after St. Louis' Kyle Brodziak opened the scoring. 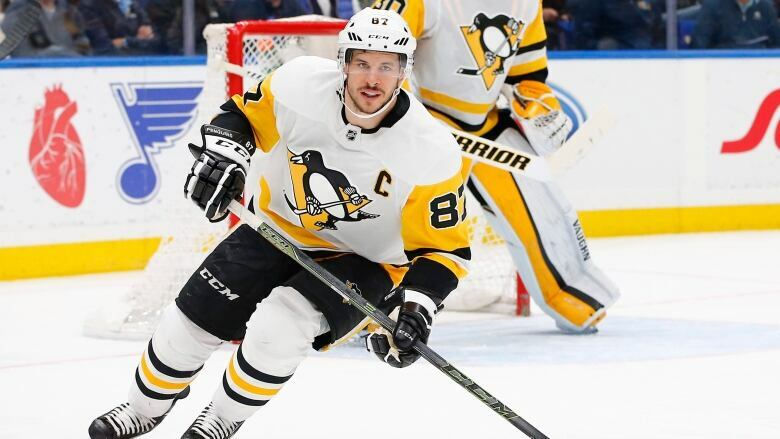 Crosby becomes the 25th player in NHL history to have 400 goals and 650 assists. Crosby has 18 goals on the season. He not scored since Jan. 14, a 10-game goal-less streak.